Capture the Horse or Pet You Treasure! 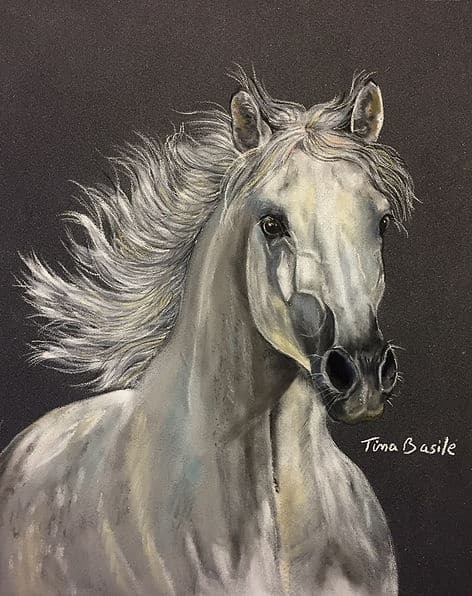 Tina Basile is a professional artist from Orange County, NY. Her childhood passion for drawing developed into a distinguished 35 year career as a designer and illustrator in four different commercial industries. 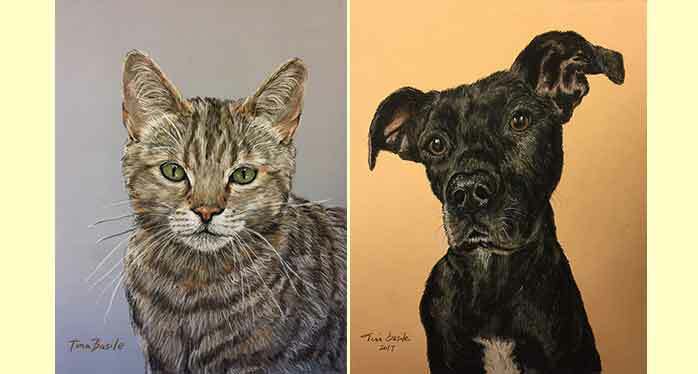 Now a retiree, Tina has returned to her favorite subject, animal portraits. 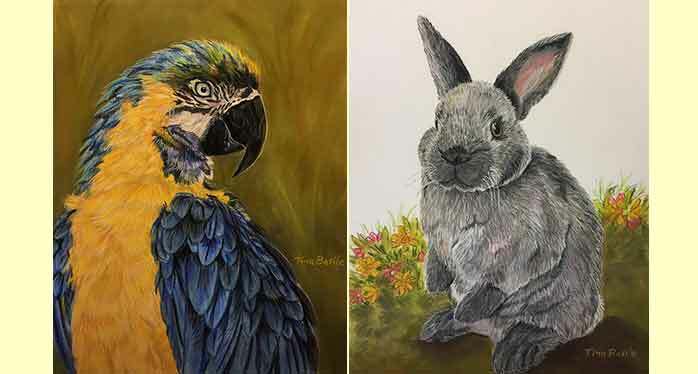 With the success of her pastel paintings, her love of animals led to new adventures with the start of “Pet Art Treasures”. 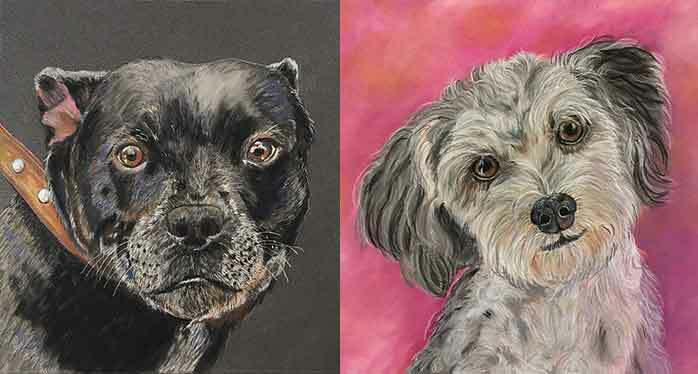 She offers commissioned, customized pet portraits from client’s photos, rendered in soft pastels and pastel pencils. She also sells framed pastel animal art. 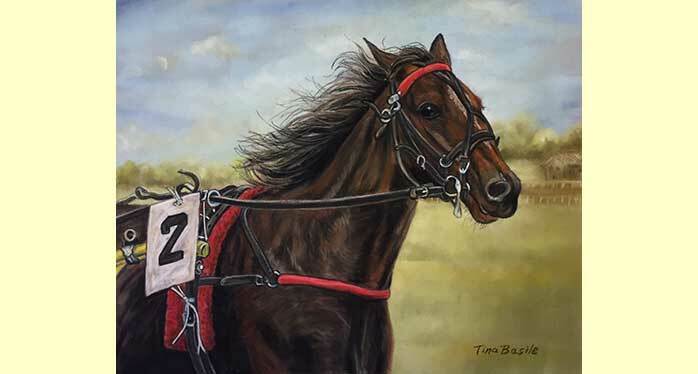 Tina blends beautiful realism with a wonderful artistic flare in a style that is best described as “ stylized realism”. 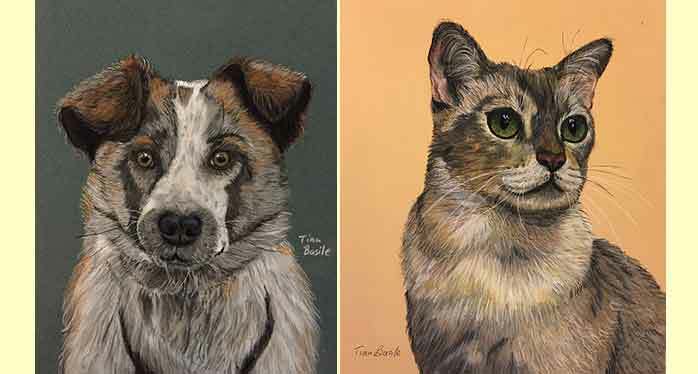 She manages to capture the essence of each animal in her paintings. All paintings are done using the finest archival, European soft pastels, pastel pencils and papers, and are intended to last a lifetime. 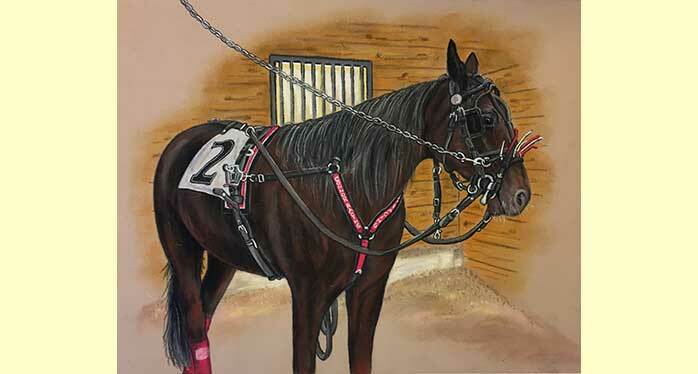 If you’d like to honor your horse or other pet in a wonderful painting, or are interested in buying or commissioning animal art, please call or reach her through the links displayed here. All art is priced by size and/ or complexity and prices vary.